Check out Tobi's Miss Bossy Tuxedo Dress Run the show in the Miss Bossy Dress. This mini dress has a jacket look with lapels, long sleeves and an asymmetrical zip-front closure. Pair it with anke strap heels and some sass. Run the show in the Miss Bossy Dress. 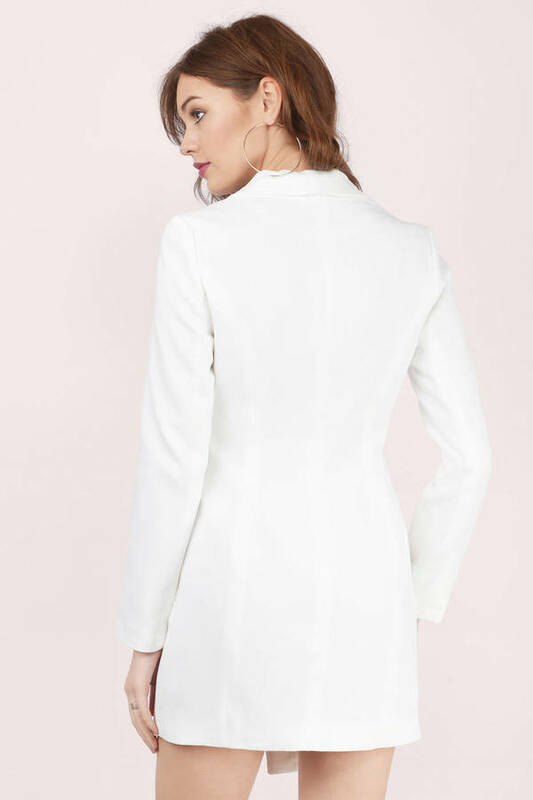 This mini dress has a jacket look with lapels, long sleeves and an asymmetrical zip-front closure. Pair it with anke strap heels and some sass.